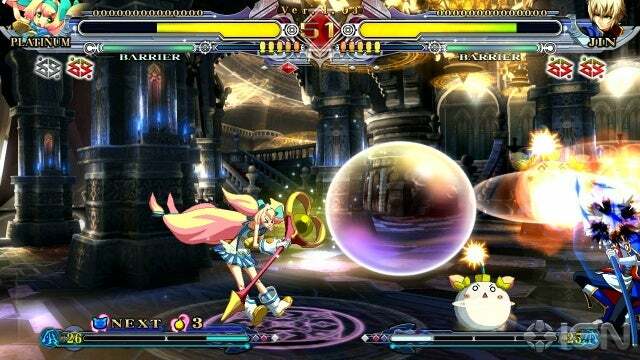 BlazBlue is a high definition 2D fighter from the makers of Guilty Gear. Players throughout the world can participate in online matches, or enjoy the immense story mode featuring individual stories for each character. 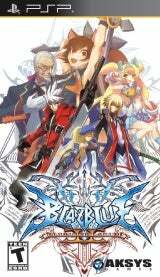 BlazBlue: Continuum Shift II contains the complete set of single player features from the console version, such as Arcade, Score Attack, Training, and Story mode, and also has an ad-hoc Network mode for multiplayer play. This impressive list of features is topped off with new content created specially for the handheld version, including extra story material and brand-new modes such as Legion 1.5 and Abyss Mode. BlazBlue: Continuum Shift II features the full 18-character cast of the original BlazBlue: Continuum Shift, including the three DLC characters Makoto, Valkenhayn, and Platinum. Furthermore, BlazBlue: Continuum Shift II also features the new system mechanics and game balance revisions introduced by the original arcade version and system version 1.03. With all of these new features, BlazBlue: Continuum Shift II is a brand-new fighting game experience sure to meet the expectations of fans everywhere. Not a huge fighting fan but that screen shot gives shows its quite the good looking game. Is it fun? So this has Infrastructure play?? So hacked PSPs can play online? I used to not be a PSP rookie but now I am. Yeah I play loads of games online, both PSN login required games like Syphon Filter and other games like Medal of Honor that don't require PSN login. Ah cool Ill have to check into it.